It fascinates me how a lone quote in my own notebook written about 5 years ago can lead me on an unexpected journey on the internet. The quote was ‘Don’t count the days. 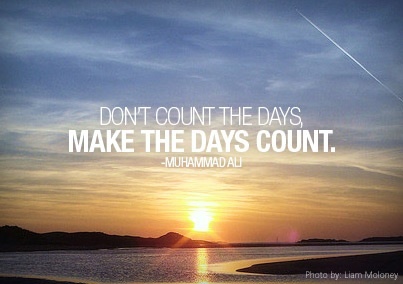 Make the days count.’ I discovered this was one of Muhammed Ali’s quotes. Now in his 70’s, he has his own active website, Twitter and Facebook page with many memories and photos of his boxing days. The quote must have resonated with me in the past, when I first recorded it, as it does now. It’s not about how many days there are but valuing what happens on each individual day. Live it like it is really important so that it means something. At the same time, we may have something big to look forward to like a special holiday or life event. We shouldn’t wish away the days between now and then, which in effect could waste those seemingly insignificant days. This brings me on to another quote which my internet journey discovered. In fact, on further research, it is two separate quotes by Cesare Pavese, award-winning Italian writer and poet who was born in 1908 and sadly committed suicide in 1950. His diaries have been published following his death as ‘This Business of Living (1935-1950). These are both thought-provoking. We have special days that we remember but do we really remember the whole day? 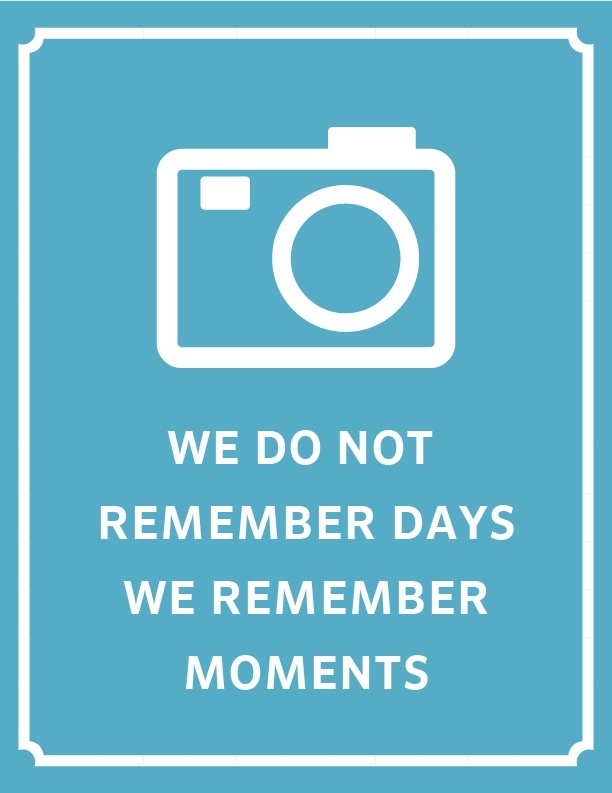 Are our treasured memories of the day itself or of particular moments during that day? When it comes to the richness of life, if we have forgotten memories then perhaps it is because we have had so many special moments, and that they are not really forgotten. My own personal experience is that many precious memories are triggered by photos and other memorabillia, things such as tickets, random notes, greeting cards, gifts – many things that I have thought it worth keeping and have stored away in a box or drawer. Have a look around you. Do you have a treasured ‘forgotten’ memory that you would like to share, including what triggers it?